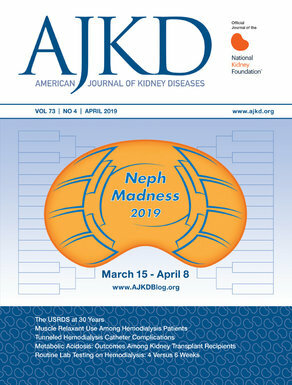 The complex relationship between kidney function and the microbial genome (microbiome) is explored in a recent review in AJKD. The human intestine is home to a vast number of bacterial species (estimated to be between 500-1000), which have evolved with us, leading to a symbiotic relationship existing between host and bacteria. The microbiome is involved in digestion of food and has immunomodulatory effects. There is emerging evidence that CKD may alter the microbiome with significantly more pathogenic bacteria being present. Reasons for this include a slower gut transit time, impaired protein assimilation, less dietary fiber, iron therapy, and antibiotic overuse. The review mentions mouse and human studies demonstrating some uremic toxins present only in CKD subjects with an intact colon. The generation of certain solutes such as protein-bound indoxyl sulphate and hippuric acid are dependent on gut microflora. Uremia leads to excess undigested protein in the distal intestine causing proliferation of proteolytic bacteria with generation of toxic metabolites, such as ammonia, phenols, amines, indoles, and thiols. These may lead to accelerated cardiovascular disease as well as progression of the underlying CKD. The review expands on these individual toxins and mentions the European Uremic Toxin Work Group, which is taking advantage of “omics” technology to expand our knowledge of both the number and function of uremic solutes. Lastly, exciting evidence is presented demonstrating how the microbiome may serve as a biomarker of injury as well as a potential therapeutic target in CKD. We first need to clarify if the dysregulated microbiome is a cause or consequence of CKD (or both). The potential to reduce concentrations of gut-derived uremic toxins via manipulation of the microbiome is explored. This may include the use of oral sorbents and administration of probiotics and prebiotics (non-digestible food ingredients that may selectively stimulate growth of particular bacteria). The authors also mention employing genetically engineered microbes that could remove uremic toxins including ammonia. Overall, the evidence base for these novel therapeutics is limited, but larger, randomized studies are planned. Watch this space.